While the global auto industry is undoubtedly switching towards electrification, emerging markets like India have to be pragmatic in adopting the high-end technologies. The nationwide infrastructure supported by government as well as incentives and awareness created among customers are as important as commercialising batteries for daily use. The endurance and availability of battery packs and the necessary aftersales support from manufacturers are vital in retaining the trustworthiness created by the IC-engined conventional models of today. Before the complete transition towards electric cars, hybrids and alternative source of propulsion are the next logical steps. FCEV (Fuel Cell Electric Vehicle) is a technology that has currently seen huge investments from manufacturers. Hyundai is at the prime of it as it simultaneously works on EVs and FCEVs. 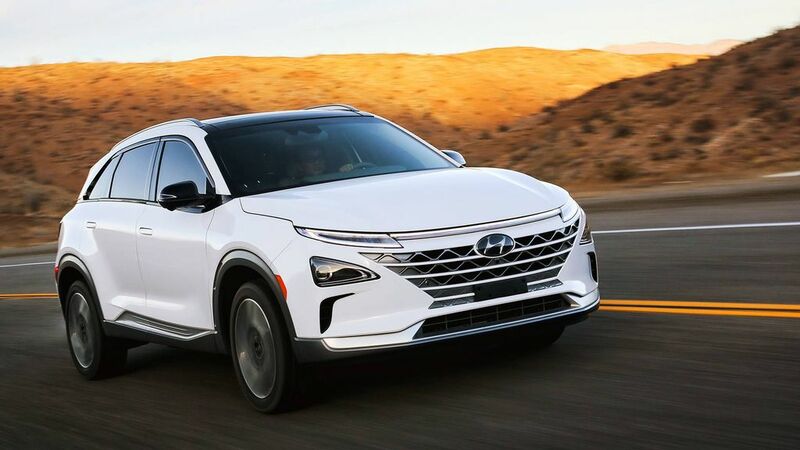 The Hyundai Nexo, which was showcased last year in India at the India-Korean Business Summit, is a fuel cell SUV that runs on hydrogen, and produces nothing but H2O at the outlet. It comes equipped with a powertrain capable of developing 161 horsepower and 394 Nm of peak torque. The Nexo is claimed to do zero to 96 kmph in 9.5 seconds and it can do up to 612 km on a single driving range. The SUV costs more than the Audi Q7 in the United States while providing lesser interior space and only front-wheel-drive configuration – as opposed to the Q7’s Quattro AWD. Consumer Reports explained in its review that since the Nexo costs USD 80 for refueling, it would take some more time for the FCEV to be appealing for general customers. However, the advantages of comfortable ride and handling as well as being very silent as battery electric vehicles should also be taken into account. While the reviewer was positive about several aspects of the Nexo, he reckoned there is still more room for improvement.